More than one person has requested that a community quilt be made for Scott Olsen, the ex-Marine who was wounded in the head at Occupy Oakland on October 25. Olsen, who served two tours in Iraq, suffered a fractured skull at an Occupy Oakland protest on Oct. 25 after being struck in the head by a projectile. Demonstrators contend it was fired by cops. The police and city have not said how they believe Olsen was injured, citing an ongoing investigation. "He is out of the hospital as of yesterday or today, thank goodness," Adele Carpenter, a member of the nonprofit Civilian-Soldier Alliance, told Reuters on Friday. In a blog post on the Veterans for Peace website, Carpenter wrote that Olsen "is struggling with speech, but is attempting conversations." Shall we support Scott Olsen with some loving and supportive words on a quilt, something he can wrap up in any time? Leave a message for Scott Olsen in the comments and I will transcribe it on muslin in archival ink. 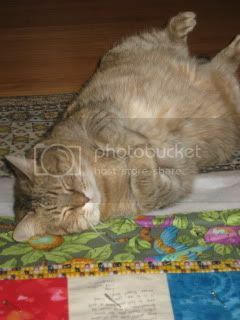 My sister and I will stitch all the messages into a colorful quilt, something to let Scott Olsen know he is not alone. 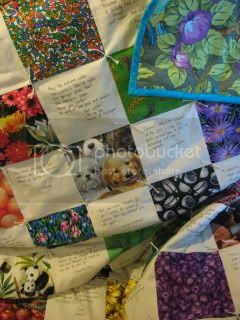 If you can also help with the cost of making the quilt (materials and a bit of our time), we will be most grateful. 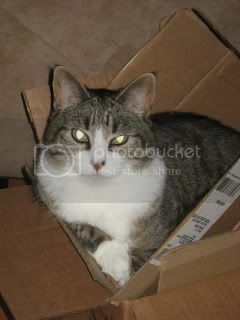 $10/message is suggested -- but please leave a message even if you cannot donate. We are in the process of quilting belinda ridgewood's quilt (it will be done soon). Princesspat's messages are transcribed and we are beginning to piece her quilt. 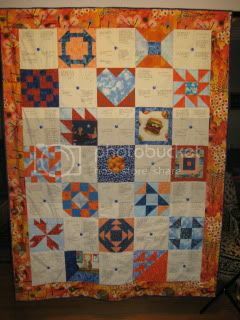 Patriot Daily News Clearinghouse's quilt will be started this week, as well. Message collection is not yet complete for Sensible Shoes. 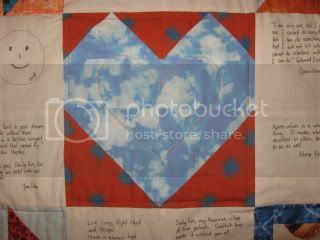 PAYPAL LINK FOR SCOTT OLSEN'S QUILT - THANK YOU! 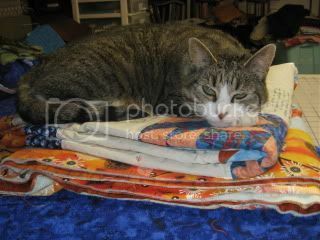 Boots says, "Thank you for supporting community quilts!"